Spring seems to be here now, occassionally even feeling like summer already. 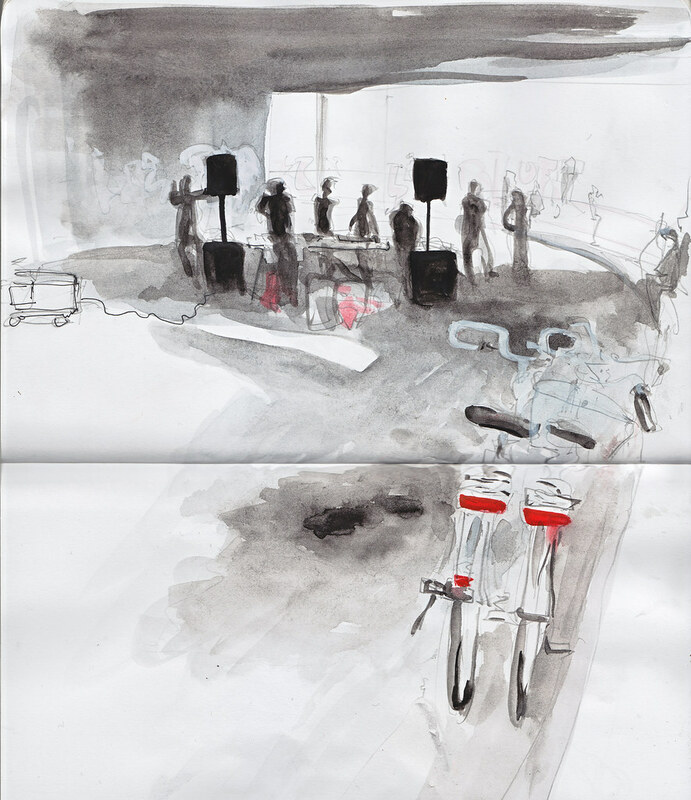 I like the brave prespective of this drawing, with the bikes in first plan! sehr Berlin! wo war es dann?